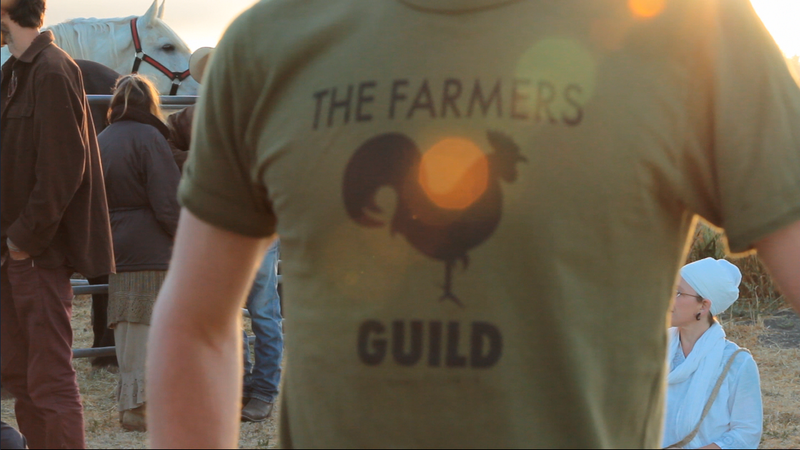 During the filming of the Farmers Guild BarnRaiser campaign video, there was plenty of funny stuff that hit the cutting room floor. With only 5 days on the clock and just under $12,000 raised so far, the Framers Guild needs your help to reach $15,000. If you've already contributed, thank you so much for your support! Send this funny video to all your friends and proudly post to your social media. Help spread the word so that they can meet their goal. 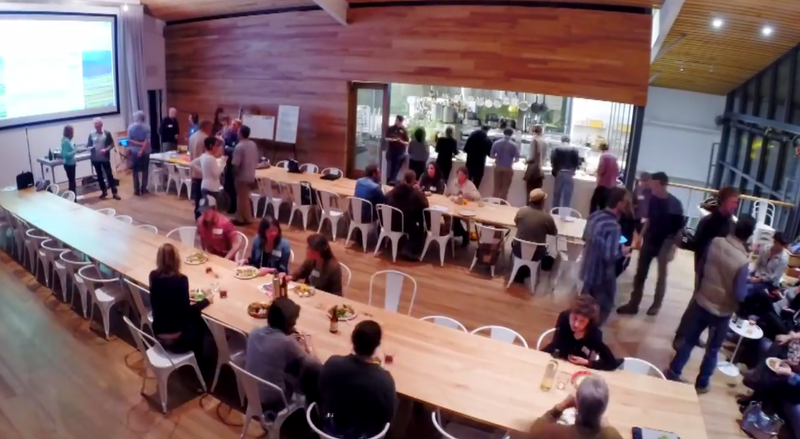 The North Coast Farmers Guild holds its March gathering at the Healdsburg SHED. 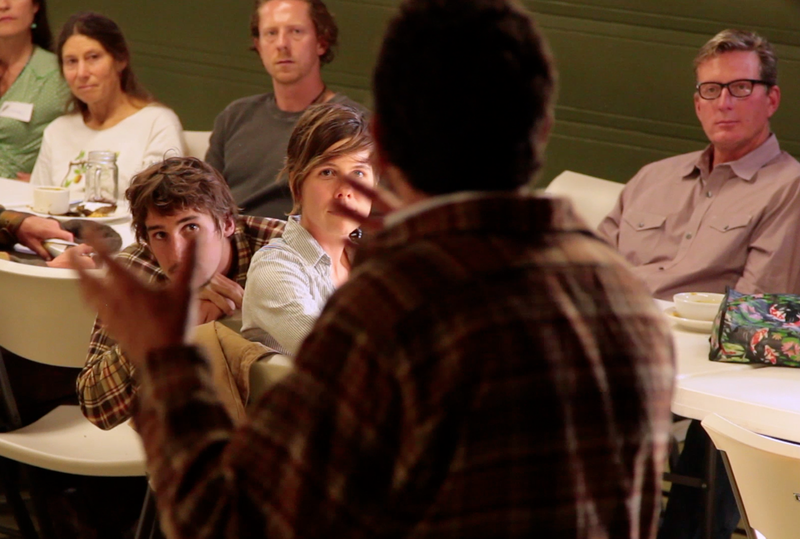 Founded in 2011, the Farmers Guild gets together the first Tuesday of every month to network, share resources, and discuss issues relevant to the local farming community. It's all done over dinner and drinks and is a great place to meet others who make their living through, or are just interested in, agriculture. Among the topics discussed at tonight's meeting: the closing of Petaluma's Rancho slaughterhouse and what it means to local cattle ranchers. Currently, the Framers Guild is raising money to secure their future here in Sonoma County. 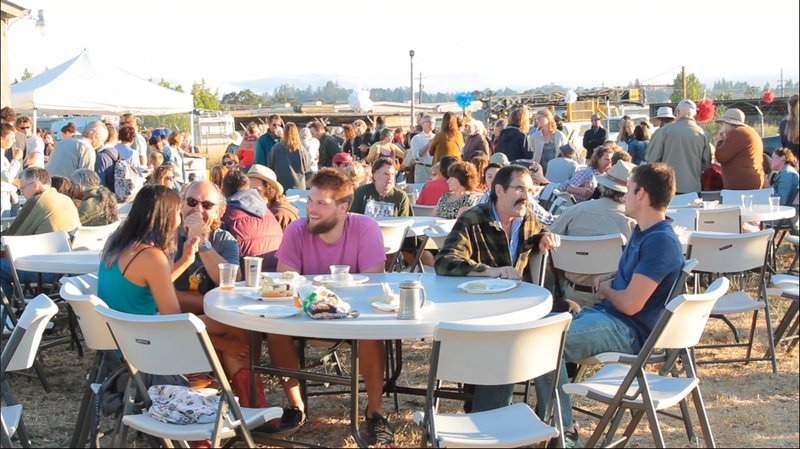 Funds will help facilitate their monthly gatherings and help establish new farmer guilds in Northern California. There are just under 3 weeks left in the BarnRaiser campaign, so help if you can. Like and share this story. Thanks so much! 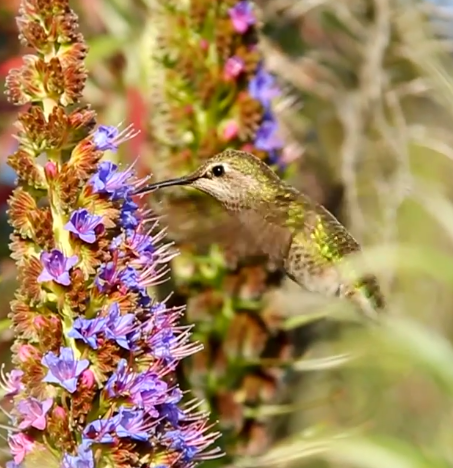 Anna's Hummingbird is 3.9 to 4.3 inches long. It has a bronze-green back, a pale grey chest and belly, and green flanks. Its bill is long, straight and slender. The adult male has an iridescent crimson-red crown and throat, and a dark, slightly forked tail. Anna's is the only North American hummingbird species with a red crown. Females and juveniles have a green crown, a grey throat with some red markings, a grey chest and belly, and a dark, rounded tail with white tips on the outer feathers. 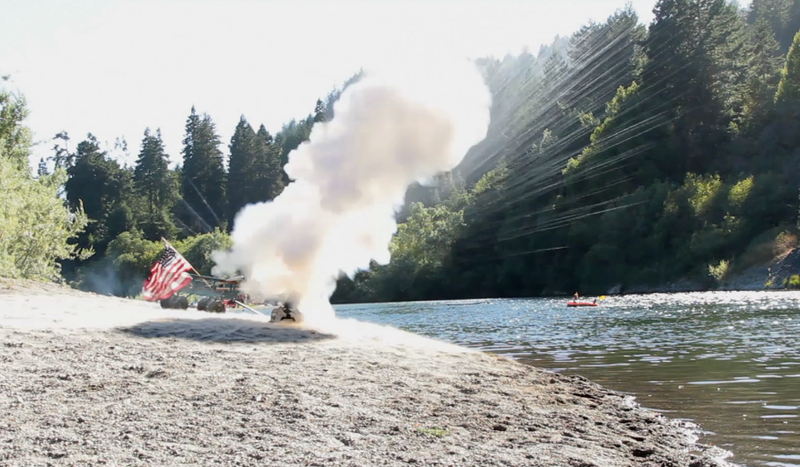 This video was filmed at the mouth of the Russian River at Goat Rock State Park in Sonoma County. 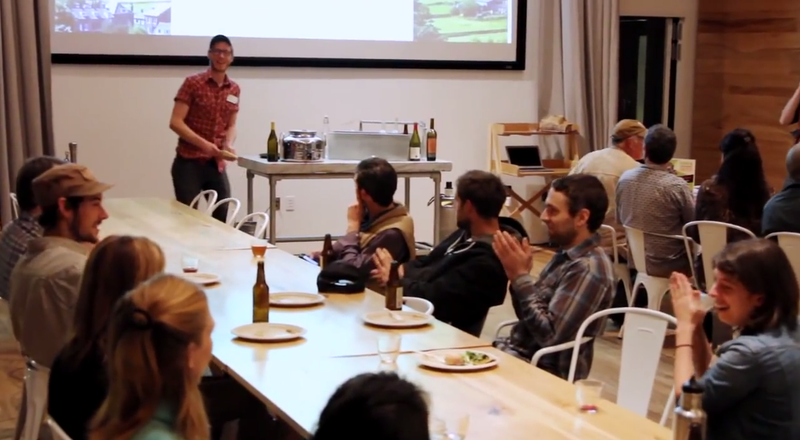 Tucker Hemquist is a chef, farmer, and permaculture designer whose passion is to create regenerative food systems that support both our community and the surrounding ecosystems. Tucker’s passion is to design organizational systems that are efficient, equitable, and respectful of the interaction with the surrounding environment. 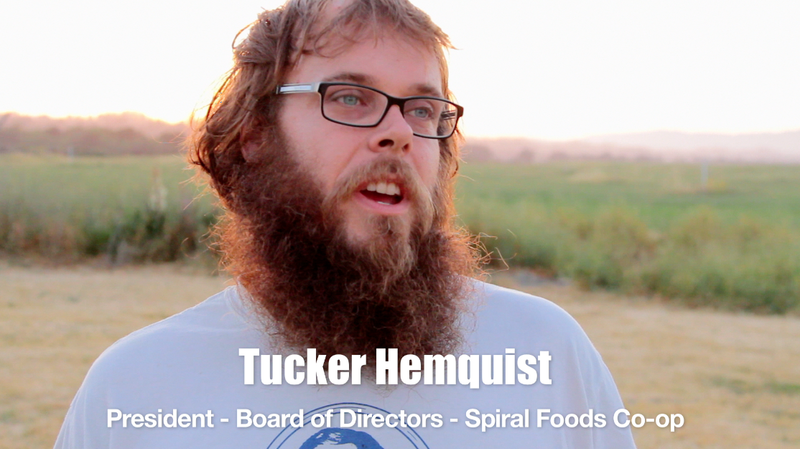 Tucker is also the President of the Board of Directors for the Spiral Foods Co-op, a grassroots effort building a cooperative market that showcases local food with minimal packaging. 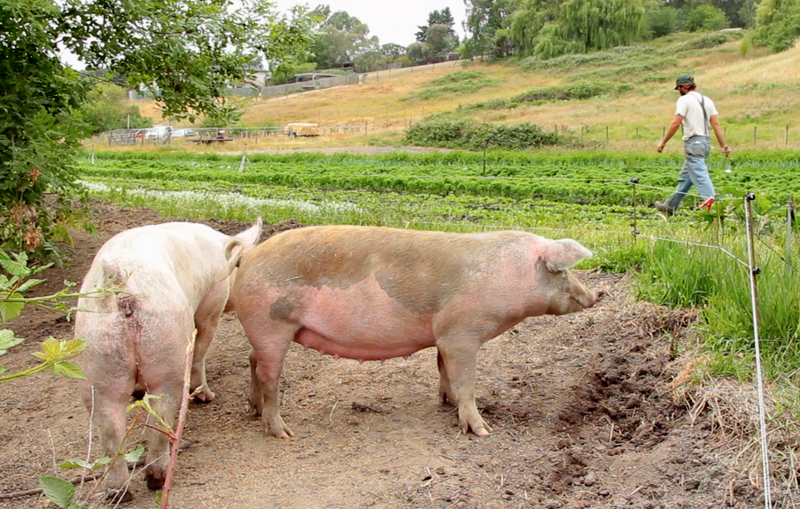 He has a vested interest in a thriving local food system. 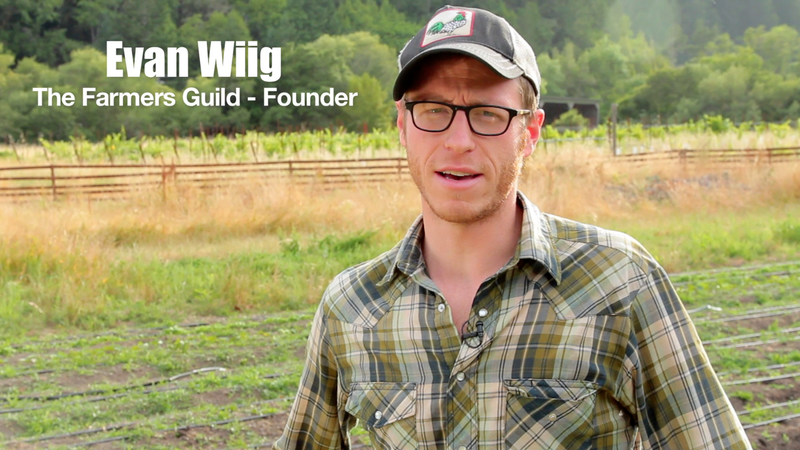 Tucker knows that the Farmers Guild is providing a community, of farmers, working together to change the way Northern California consumes food. Show your support for the Farmers Guild today. Anything from $5 to $5,000 will help, and there are some really great incentives too. How about some milking lessons? 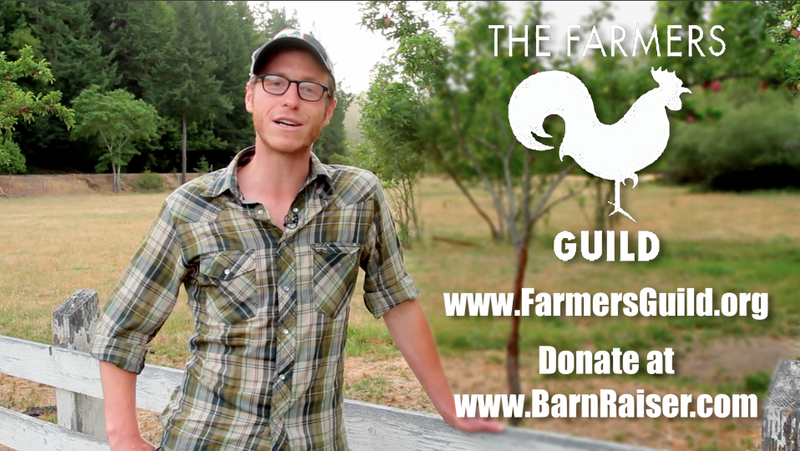 Get involved at the BarnRaiser Farmers Guild page. Watch and share the story below. If you can't help, maybe one of your friends can. Thanks for spreading the word! For the most part, Villa Grande is off the map, which is the way they like it, but once a year on the 4th of July, the good towns people of the greater Villa Grande area, dust off the red, white, and blue bunting and parade around in true patriotic fashion. Follow Hannah Gart of KarmaTales, as she joins in the parade, now in it's 34th season! 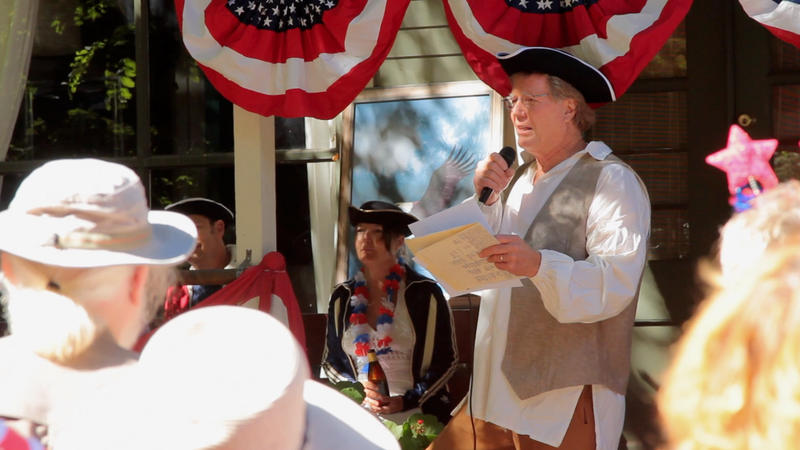 Rich Holmey, the official Villa Grande Orator, reads aloud the declaration of independence. Reberto Esteves and Kyla Brooke were the Masters of Music and welcomed everyone to join the Hubbub Club Band, with kazoos generously donated by Villa Grande. 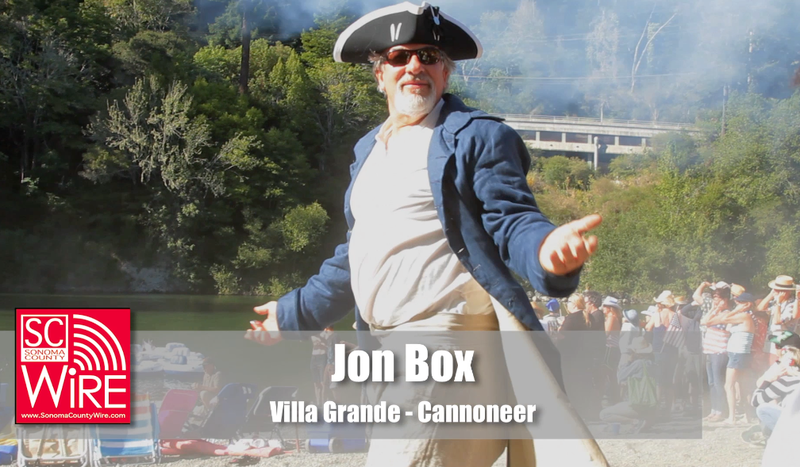 Last but not least, Jon Box, official Villa Grande Cannoneer made sure that the no one forget that it was the 4th by setting off a very small, but extremely loud little cannon. Every year on July 4th at 4:30 p.m. the villagers assemble in the Villa Grande town square. 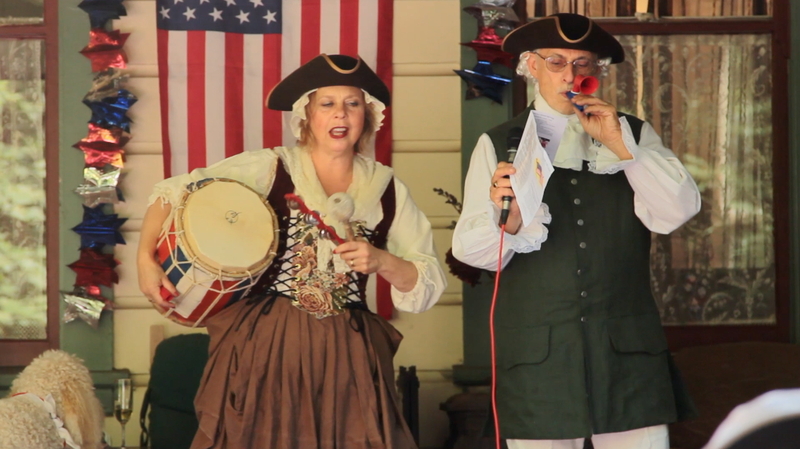 Excerpts of the Declaration of Independence are read and then the citizens parade through the town, playing kazoos and singing patriotic songs. The procession stops at the old Villa Grande Hotel for more singing, dance performances and the Children’s Kazoo Chorus. Next, the parade repairs to the Villa Grande beach where a cannon is fired in recognition of the struggle for independence. This delightful event originated in the early 1900s and was revived and embellished by Wyman Spaulding in the late 1970’s. The tradition is now perpetuated by Friends of Villa Grande. What is a Home Concert? Wikipedia has it at: "A house concert or home concert is a musical concert or performance art that is presented in someone's home or apartment, or a nearby small private space such as a barn, apartment rec room, lawn, or back yard." There are no ticket sales, but donations to the artists are greatly appreciated, and you can usually find a CD for sale. This simple venue model is supported by people donating a place for people to gather and listen, and the artist, who sometimes drive many miles to do these home concerts. 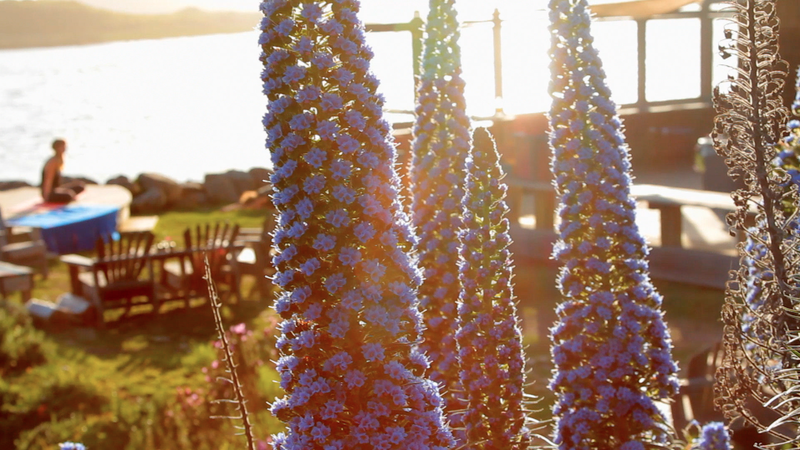 This home concert happened at Chanselor Ranch, just north of Bodega Bay. 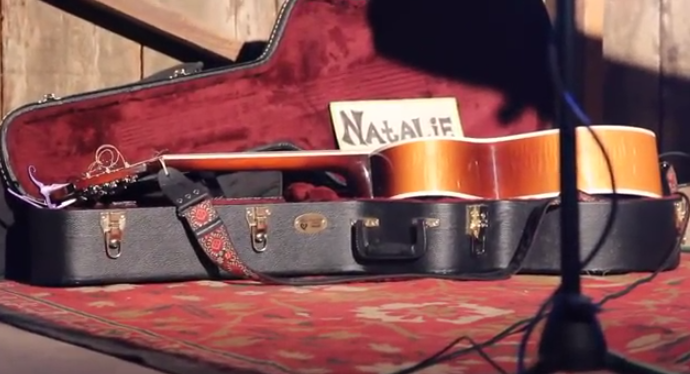 Natalie Gelman, singer/song writer, performs "The Answer" LIVE at Chanslor Ranch in Bodega Bay, CA. With Manhattan roots, this beautiful talent currently lives in Cali and tours the US. Follow her melody at www.nataliegelman.com! 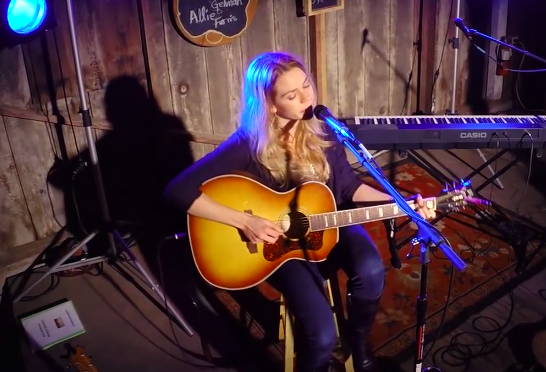 Allie Farris, singer/songwriter, performs "Folk Star" LIVE at Chanslor Ranch in Bodega Bay, CA. This young Nashville-based artist is currently on tour to support her dream and share her voice. Follow her melody at www.alliefarris.com! 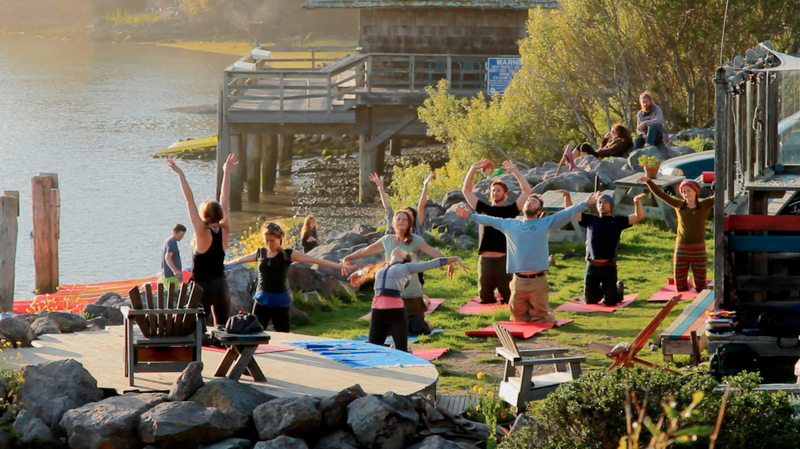 Introducing Karma Tales, a new kind of yoga and wellness business in Sonoma County. 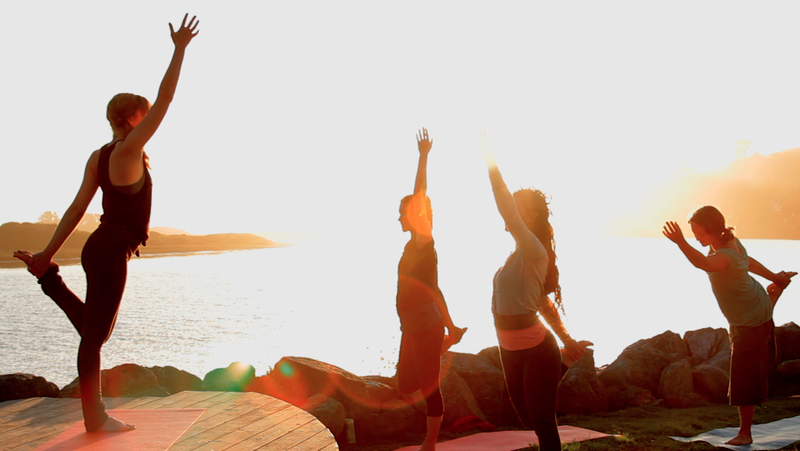 Hannah Gart, who started Karma Tales, believes that Yoga can, and will happen anywhere. If you are interested in adding a wellness component to your visit, or your day, contact Karma Tales to discuss on-site yoga classes. There are also opportunities to pair your yoga session with a hike or archery class, massage, a "home-cooked" meal or anything else we offer. This is a great way to support a community experience based on breath, movement, and FUN -- an environment which can serve to strengthen the relationships between fellow travelers, day trip or overnight groups, friends, and loved ones! Whether you want to relax and sip wine in the sun after receiving a massage and a Home-Cooked" Ayurvedic meal; or if you want to push yourself to the limits while hiking, doing yoga, archery, or dance, Karma Tales can customize your retreat for a day or even two. Founded by farmers for farmers, The Farmers Guild works to establish a network of social and professional hubs across California. 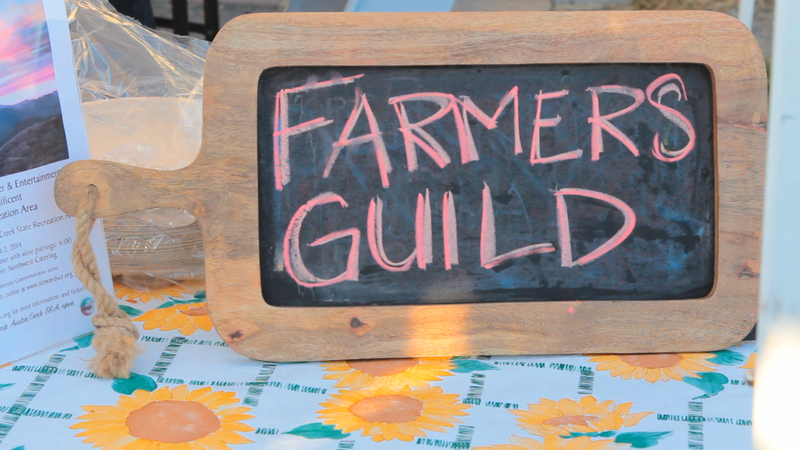 The Guild is where farmers connect, collaborate and find the resources they need to thrive within local food webs, which stimulates stronger local economies, creates social equity and sustains our natural resources. Donations can be as little as 5 dollars or over 5,000 with generous incentives ranging from an honorable mention on the Farmers Guild website, to a whole hog roast, in your backyard, for you and 40 of your friends for an evening of agrarian revelry that you'll never forget. We officially launch the Farmers Guild, and build a stronger community of Free Farmers in each of our Guilds! Our Farmers will get the connections, resources and services they need to thrive, including access to the Farmers Guild Scholarship Fund. We’ll be able to bring news, resources, and provide continued organizational assistance to each of the 7 existing Guilds. We produce and distribute a comprehensive and easy-to-use guide and “welcome package” that provides each guild with the information, training and resources needed to assure that their own local guild thrives, stays connected the wider Network and serves its members. We throw our annual Guild Raising event in 2015! You can make it possible for all of the Guilds to come together to celebrate local food, extend their community even wider, and proudly represent their own Guild among many. We help launch three to five new Guilds! With a waiting list of communities ready to get started with their own Guild, we need the time and resources to make that a reality! Join us!